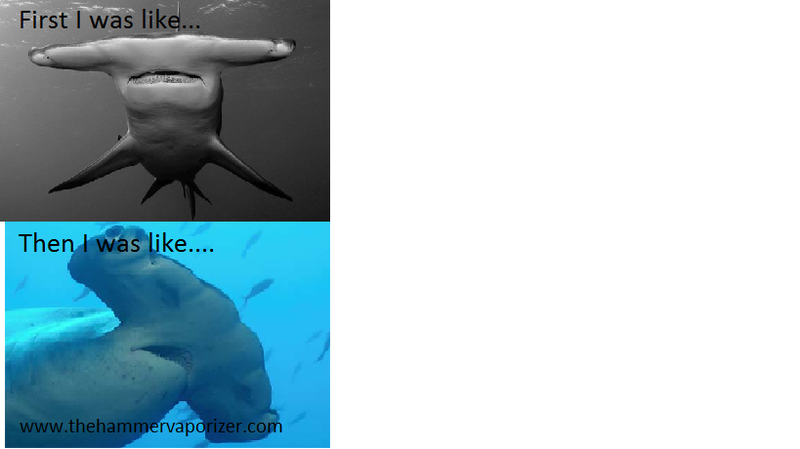 Discussion in 'Past Contests' started by Hammer Vaporizer, Jan 2, 2013. 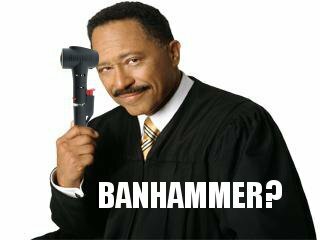 I wanted to let you all know about our Meme the Hammer & Win Contest. 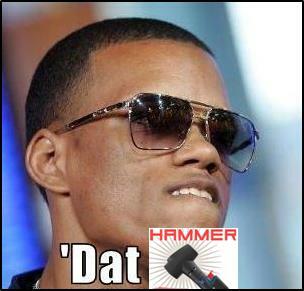 You can find the full details of the contest at http://www.thehammervaporizer.com/blogs/main/7000198-meme-the-hammer-win, but I'll give you a shortened summary below. What is a Meme you ask? 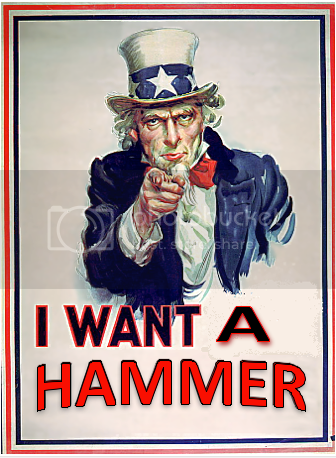 Create a funny, creative and highly spreadable meme that somehow incorporates the word "hammer" and/or an image of a hammer. 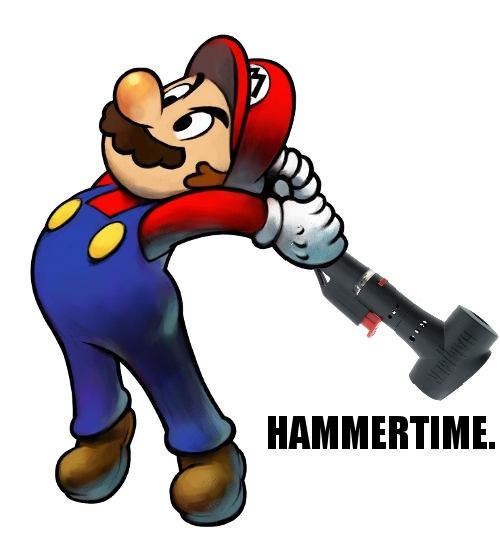 It doesn't even specifically have to be the Hammer Vaporizer, any hammer will do (MC Hammer, Hammerhead Shark, etc.). Share your meme with us to enter. We will accept entries until January 21th, 2013 and the winner will be announced on February 1st, 2013. Viral Impact - How many likes, tweets and other shares did your meme get. 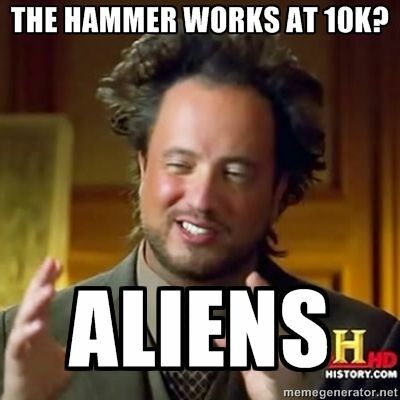 Creativity - How creatively did you incorporate a hammer into your meme. Humor - How funny is your meme. Does it make people laugh until they pee? NO PURCHASE NECCESARY. 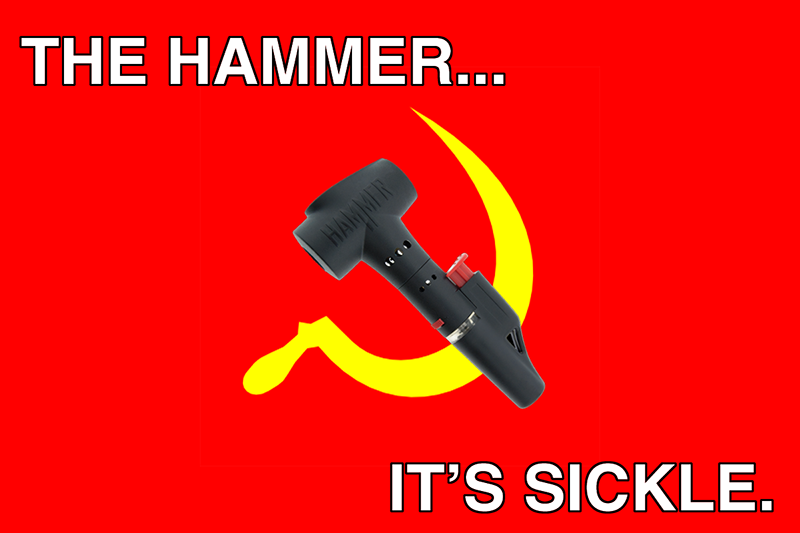 To enter the contest, please submit your image on our website, Facebook page, by twitter (must mention @hammervape or #HammerVapeMeme), via email (support@thehammervaporizer.com) or in the appropriate thread on Fuckcumbustion.com. No offensive material. Please do not make memes that are obscene, vulgar, hateful, threatening, racist, sexist or discriminatory. No specific drug references or images of illicit/ illegal materials. By submitting your image(s) and entering the contest, you authorize us to add our website address and use them for marketing and promotional purposes on the internet, our website & social media as we see fit. We will accept entries until 11:59pm on January 21th, 2013. The contest winners will be announced on February, 1st 2013. You must be 18 years of age or older to enter and agree to our Terms & Conditions as stated on our website. These rules may be changed at any time without notice. 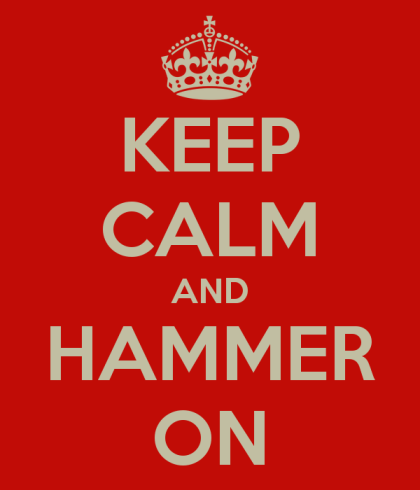 All rules are interpreted and applied at the Hammer team’s discretion. Feel free to contact us if you have any questions. Please let us know if you have any questions about the contest. Thanks! 1_gr8_underdog, placetime, Tweek and 1 other person like this. Im unsure if this breaks rule #3...but went for it anyway. please delete if it is against the rules. or PM me and ill take care of it. for anyone who didnt get it..
Roger D, Hammer Vaporizer and Tweek like this. 1_gr8_underdog, Hammer Vaporizer and Tweek like this. edit: sorry if I missed a rule limiting one submission per user. I'll happily delete one if I did. 1_gr8_underdog, Tweek, Frederick McGuire and 1 other person like this. sorry dont know what happened.Navigating this site on my wiiu game pad is a pain. Il try to fix on the laptop later. 1_gr8_underdog, Hammer Vaporizer and thesoloman like this. Im unsure if this breaks rule #3...but went for it anyway. please delete if it is against the rules. or PM me and ill take care of it. retrying, sorry about that lol. it was good though. TriiKLe and Hammer Vaporizer like this. maybe "engorged with butane" would be better? LetsAllMeltDownTogether and Hammer Vaporizer like this. Egzoset, Hammer Vaporizer and Tweek like this. Egzoset, Hammer Vaporizer and Head Tools like this. 1_gr8_underdog, TriiKLe, placetime and 2 others like this. placetime, Hammer Vaporizer and thesoloman like this. Deadshort480, 1_gr8_underdog, TriiKLe and 4 others like this. 1_gr8_underdog, Bouldorado, placetime and 5 others like this. I'll get the new ones up on the Facebook page shortly. I am also tweeting each entry, so if you are a tweeter, please RT your favorites to cast another vote for them. Hammer Vaporizer and pakalolo like this. Edit: Sorry for the double, I forgot to edit my last post. Dangus Yeah, well, that's just, like, your opinion, man. Calvin, stickstones, Roger D and 4 others like this. Hammer Vaporizer, Hoops and kingofnull like this. I was particularly fond of this movie as well. My ONLY submission besides the lame joke above. Uke and Hammer Vaporizer like this.